Three dimensional brass heart ornament. 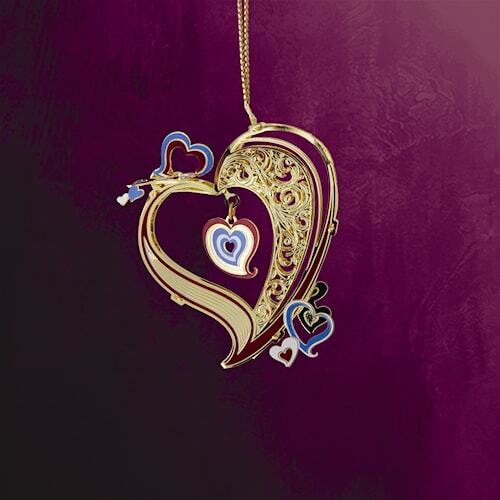 Gorgeous filigree adorns three sides of this fun heart. Four segments of lavender, red and white small hearts brighten the design with color. Perfect for your Valentine or engagement or gift of love. 2 x 3 inch. Gift Boxed.